It seems that everyone has a different idea of what the best method for window cleaning would be. Some prefer soapy water, a cloth and a shammy. Others love Windex and kitchen towels. And then there are those who go the vintage way by cleaning a window with vinegar and old newspapers. 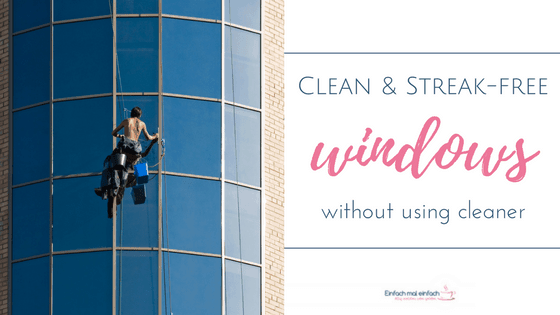 On my quest to finding the most hassle-free way to a clean and streak-free window, I’ve tried them all. Any method that involved carrying a bucket of soon-to-be black soapy water from one window to the next did not qualify to begin with. And as much as I loved my new squeegee – there’s no way to get your window clean without extensive polishing. Unless, of course, you are willing to incorporate those streaks into your views permanently. 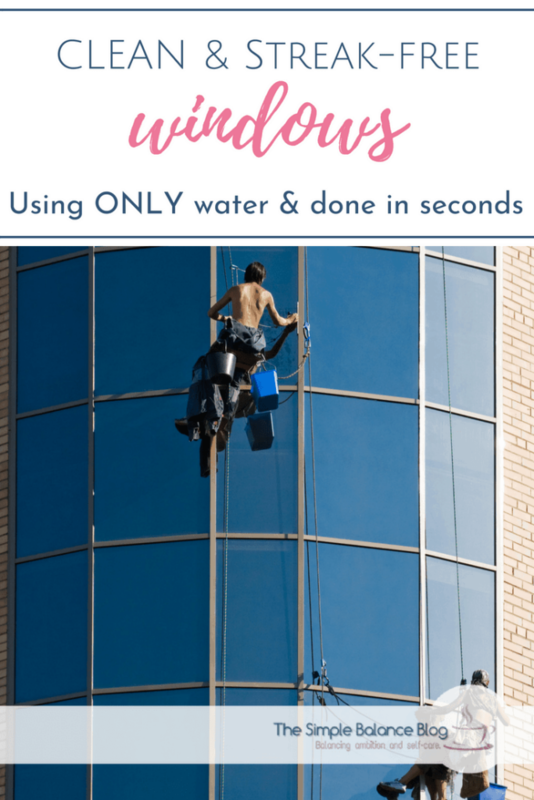 Being a big fan of DIY cleaners, I experimented with homemade window cleaning sprays. Which worked great until we got to the part of getting your window streak-free, preferably without any tiny fluff parts clinging to the clean window afterwards. That sort of thing only worked with commercial cleaning wipes but I find them too expensive in the long run. Oh, and then there was the issue of spot cleaning some of the worst smudges between cleanings. While the smudge would usually get removed, the area so clearly stood out from its surroundings that it made matters worse and forced me to go into full-blown window cleaning mode. When I tell you which unsuspecting little thing revolutionized my cleaning routine, you’ll probably be tempted to roll your eyes. And honestly, I’d much rather offer you the recipe for a homemade miracle cleaning solution, forever solving man’s window cleaning problems. Instead, I need to tell you about this ultra-microfiber cloth, produced by ALCLEAR. 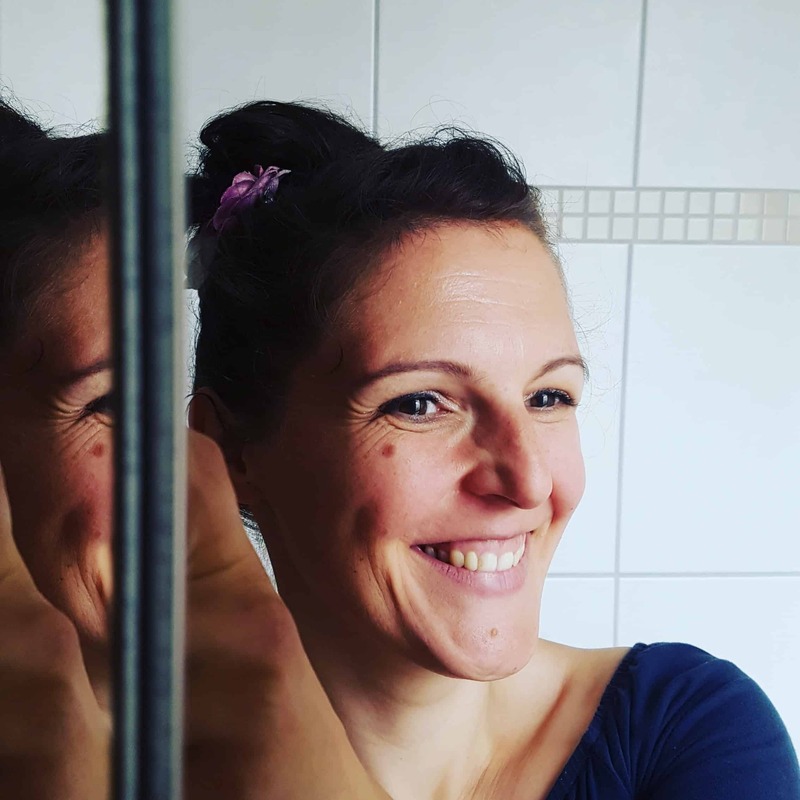 I’ve been using this cloth for two years now and on all the glass surfaces our home has to offer – and I’m loving it! There is no need for any cleaner – homemade or otherwise – as all it takes is a little spritz of water and it’s good to go. If I have no spray bottle at hand (which is usually the case), I just run my hand under tap water and dab the cloth into my wet hand. For best results, the cloth cannot be soaking wet. Dampened just a bit, it effortlessly removes the greasy fingerprints my kids left on the window two minutes after I last cleaned them. When it starts leaving streaks on your glass surface, you’ll know it’s time for a trip to the laundry. It can handle the hot water cycle just as long as you don’t use any fabric softeners and will be as good as new afterwards. It couldn’t possibly get any easier than that, right? If my windows are really dirty (after, say, pollen season – or because I couldn’t be bothered all year…), then I’ll pre-clean with a regular microfiber cloth before using the special window cloth. ALCLEAR offers a variety of products for different uses such as this but I haven’t tried them yet. So far, any inexpensive microfiber cloth has done the trick of pre-cleaning. And again, no cleaner necessary. If you cleaned your window with some sort of cleaner and want to use this special cloth for the finishing touches, it may actually leave streaks. In this case, clean it once more with clear water before using the window cloth – and make a mental note. Next time, you can save yourself the extra cleaning agent as well as the hassle. I’m NOT an affiliate for this product (but you can get them at Amazon, where I am an affiliate), by the way. This company’s main target group are car owners who love to shine their cars, anyway – definitely not me! And even if I were, you could rest assured that I will only ever recommend products which I approve of 100%. This cloth is a must-have nonetheless and should be part of any cleaning caddy! So, as much as I’d love to add a homemade glass cleaner to my cleaning supplies – there really is no point at all with this handy-dandy little window cloth. Because after all, what could be more inexpensive, more ecological and simpler than using plain water for cleaning? Go and get one for yourself or better yet – get a bunch and start giving them as gifts! ALCLEAR 950001US Ultra-Microfiber Cleaning Cloth for Windows and Smooth Surfaces, White, Size 17.72 x 15.75 in. ALCLEAR 950006 Ultra-microfiber special Cloth Star for Bathroom and Kitchen care. White. Size: 15.75 x 17.72 in. 3 Pieces.